Getting an address in an A grade building can be expensive. The rental per square metre is likely to be at the top end and your new landlords are going to want a first class fitout to ensure that you fit in with the neighbours. Add to this the bonds that you need to pay and it all adds up to a lot of cash. Rather than buying or leasing an A grade office maybe you should consider getting a virtual office instead. With a virtual office you can get the benefit of many of the local services and amenities without having to have a physical location. In a number of our buildings you can also make use of our meeting rooms to meet with your clients at your address. Here's how it works. We provide you with a mailing address in one of our grade A buildings. You then use that address on all of your stationery, your website, your business cards etc. Any mail that is received in to the address is forwarded on to an address that you have nominated. It's all very easy! With a virtual office you have the ability to work wherever you want. You could be sitting at the beach or in a cafe instead of being cooped up in an office. We believe there are a number of good reasons, here are a few. Flexibility. Quite often when people start small businesses they are unsure as to how quickly they will grow and how many people they will need. Price. This is a big one. The cost of setting up a virtual office is a minor % of what you pay to set up a physical location. This is money that can be spent on growing your business. Services. We can provide you with a range of other services to help you grow your business. These include telephone answering services, meeting rooms and virtual assistants. Meeting Rooms. If you need to meet with your clients regularly then you should look at our centres that also offer meeting room services. You can then meet with your clients at your business address. There are no long term contracts unlike many office leases. You can pay for 3 months in advance and you are not locked in to a longer term. Your mail and couriered items can be forwarded to an address of your choice. A virtual office service really does make good financial sense for a new business or a small business. Customers who use our services include start ups, professionals, consultants, online businesses, suburban businesses and more. You will need to provide details of who will be renting the address and identification details like your ABN etc. What about if I am offshore? It is quite common for overseas businesses to rent a virtual address as their first entry point into a market. Contact us for details in terms of identification that is required. 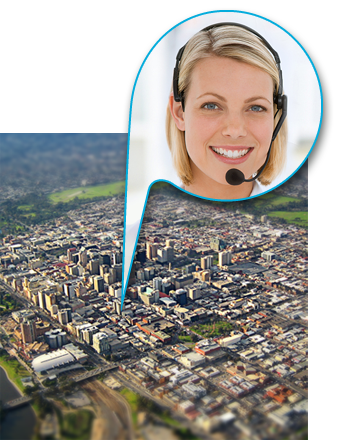 Why not get an address in each of the capital cities like Sydney, Melbourne, Brisbane, Perth and Adelaide and go national. There is no problem in having multiple locations. We can assist you with a broad range of additional services ranging from telephone answering to virtual assistants and telephone numbers. Check out our website for more details.